You’re likely aware that notary services play a part in the execution of important documents related to home mortgages, car loans and in estate planning. Due to the legal nature of these transactions, you might assume that a notary public has the expertise to provide advice regarding the laws that govern the rights of the parties. However, it’s important to understand the role of a notary professional, and what they can and cannot do. Charging a fee for what amounts to legal work. 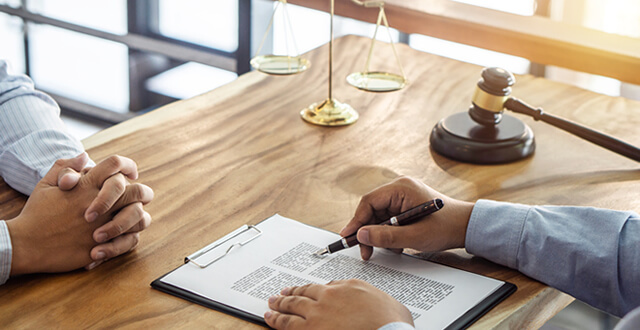 There are ways that a notary public can avoid being accused of offering legal advice, while still assisting signatories with execution of documents. The notary should set proper expectations with the signers of a document, clearly explaining their role and what they can and cannot do in providing notary services. A notary public can explain what documents they can notarize and what notary actions they take with respect to each type of document. For instance, a notary can explain the differences between an affidavit and an acknowledgment; however, the signers (or licensed attorneys) must still choose the document they’ll be signing. The notary can refer signers to an attorney if they have questions or would like to know more about the legal impact of the document they’re executing. The role of a notary public is to verify the identity of a person signing a document and ensure they’re signing under their free will. A notary signing agent may assist with the execution of documents related to real estate, and their role is more involved. The notary signing agent is allowed by law to review an entire loan package with borrowers who are obtaining a mortgage, ensuring that all signatures are in the right place and notarized as required by law. Whether you require a notary public or a notary signing agent will depend on the transaction, your circumstances and the laws of your state. It’s essential to consider your needs when looking at options for notary services, so you’re sure to find the right fit. You should also seek out a notary professional that provides top customer service and can assist you with proper execution of documents.